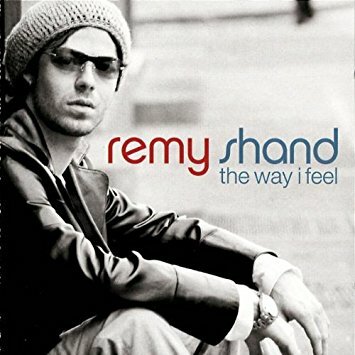 Blue eyed soul singer Remy Shand had success and critical acclaim with his 2002 debut CD The Way I Feel and the single Take A Message. Then he seemed to disappear. He has reemerged recently but a lot of fans of this album believe he should have been a star. He was born Oct. 14, 1977 in Winnipeg. Shand moved to Toronto and got into the local studio scene. Shand not only sings and writes songs but he plays all the instruments and produces. So this led to a contract with Universal Canada and then Motown in the US. The Way I Feel did well especially in Canada. And Take A Message was an R&B hit. Shand won a Juno in 2003 for Best R&B Recording and he was nominated for four Grammys. So what happened to him? Apparently he recorded a second album but Motown didn't like it and it was never released. This was around the time that former Elektra CEO Sylvia Rhone replaced Kedar Massenburg as president of Motown. And it's not unusual for new management to clean house of artists signed by the old management. Then he went through a messy divorce and that led to other problems including depression. Shand surfaced with his own label in 2013. He still lives in Toronto. He has released a couple of albums and several singles. He also records as CANARY. The Way I Feel is available as a budget CD. And his new recordings are available as digital downloads at his website Remy Shand World. Though I doubt Shand will ever be a star again, it's good to see that he's still making music. Here's the video for Take A Message by Remy Shand.